Our Goal Is To Teach Our Students To Exhibit A Black Belt Attitude In All Areas Of Their Lives. we tend to forget it as soon as we leave them, because it is not related to our actual lives. But since Taekwondo is connected with our lives like every movement of ours is, we can never forget its philosophy. of the changes and movements in human beings. It also represents the principles of our lives, since life consists of our movements. Therefore, we can say Taekwondo is a philosophy in itself. We can understand the philosophy of Taekwondo by doing Taekwondo, and this understanding should lead to better understanding and enhancement of our life. The principles of Taekwondo can be explained in several ways but here we will explain it simply with the principle of "Sam Jae" [Three Elements] and that of "Eum" [the Negative or Darkness] and "Yang" [the Positive or the Brightness]. "Sam Jae" refers to "Cheon" [the Heaven], "Ji" [the Earth], and "In" [the Man] and the principles concerning them. In oriental countries, it has been recognized as the central principle that explains the changes of everything in the world. "Sam Jae" and the changes of "Eum" and "Yang" constitute the "Eight Trigrams for Divination" in the "Book of Changes." The principle of Sam Jae has been emphasized in oriental countries, especially in Korea. If you understand Taekwondo's principle, you could understand all the skills and spiritual depth of Taekwondo. The principle of Eum and Yang has also been emphasized in oriental countries as the central principle of life. It maintains that everything has an opposite side. This principle explains various forms of changes, but it comes from "Taegeuk" [the Great Absolute], which represents the ultimate claim that Eum and Yang was the one and the same thing. If we understand Taekwondo according to this principle, we will find a solution, and by continuously changing skills, we will never get stuck, in any situation. After we understand these philosophical principles of Taekwondo, we can find proper ways to understand and develop our lives. Taekwondo contains thoughts that Han [Korean] people had developed through history. Its philosophy is easily explained with Hongik-Ingan, Jaese-Ihwa, or Hwarangdo spirit. Hongik-Ingan and Jaese-Ihwa were not only ideologies of Tangun Chosun's foundation, but also a fundamental thought of Han people. With time, these ideas developed into the Hwarangdo spirit and the Taekwondo philosophy today. Now, let's look at the principles contents of the philosophy. Hongik-Ingan" means universal welfare of mankind. It was the idea of the national foundation by Tangun, and the Taekwondo spirit too has inherited the idea of Hongik-Ingan. It is easily confirmed from the fact that the word of Taekwondo, itself means to suppress fighting and induce peace. On one hand, Jaese-Ihwa means that the world is educated in accordance with the reason of heaven. Taekwondo is a principle, not a simple connection with movements. It is the Korean traditional martial art characterized by the trinity of body, mind and life. Thus, the principle is the reason of all creation, and so it refers to the reason of heaven in Jaese-Ihwa. Therefore, human beings can be educated in accordance with the reason of heaven through correct training of Taekwondo. That's the very meaning of Jaese-Ihwa. Hongik-Ingan and Jaese-Ihwa appear clearly in the myth of the Korean foundation. According to it, "In the early age, Hwan-Wung, the son of Heaven established a nation called Baedal [earliest name of Korea]. He then announced the purpose of the national foundation as Jaese-Ihwa [educate with the reason of heaven] and Hongik-Ingan [universal welfare of mankind]. First, Taekwondo is the right way of using Tae and Kwon 'fists and feet,' or all the parts of the body that are represented by fists and feet. Second, it is a way to control or calm down fights and keep the peace. This concept comes from the meaning of Tae Kwon 'to put fists under control' [or 'to step on fists']. Thus Taekwondo means "the right way of using all parts of the body to stop fights and help to build a better and more peaceful world." Taekwondo has been developing with the 5000-year long history of Korea, being called by several different names in the course. In Korea, Taekwondo began as a defense martial art called "Subak" or "Taekkyon," and developed as a way of training body and mind in the ancient kingdom of Koguryo, under the name of "Sunbae." In the Shilla period, it had become the backbone of Hwarangdo that aimed at producing leaders of the country. Taekwondo today is similar to the martial arts in other Oriental countries and shares some features with them, because in the course of its evolution it has gained many different styles that existed in the martial arts of the countries surrounding Korea, like Japan and China. But Taekwondo is very different from many such oriental martial arts. First, physically it is very dynamic with active movements that include a mirage of foot skills. Second, the principle physical movements are in simpatico with that of the mind and life as a whole. Third, it possesses dynamic poses from another perspective. Taekwondo can be characterized by unity: the unity of body, mind, and life, and the unity of the pose ["poomsae"] and confrontation, and cracking down. When you do Taekwondo, you should make your mind peaceful and synchronize your mind with your movements, and extend this harmony to your life and society. This is how in Taekwondo the principle of physical movements, the principle of mind training, and the principle of life become one and the same. On the other hand, the right poomsae lead to the right confrontation, which will eventually produce great destructive power.How come we reach such a unity in Taekwondo? Taekwondo is a way of life, much like having a job, raising a family, fighting for a cause, or any one of numerous raison d'etre. What makes Taekwondo different from these is that it is an activity for survival in extremely antagonistic situations. One must always overcome the enemy that is trying to cause harm. But simply winning a fight is not enough to guarantee one's safety, because the enemy may recuperate and attack again. Moreover, there may be many other enemies than the one that was just defeated. One cannot ever feel safe unless one gains permanent peace. To attain this permanent or lasting peace, one needs unity. This is what Taekwondo aim for. Otherwise Taekwondo would be no different from any other street-fighting skills. 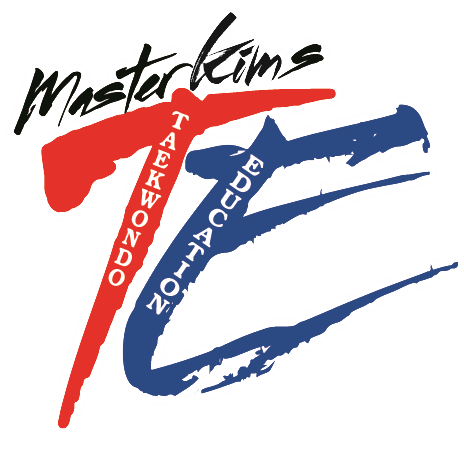 Taekwondo pursues harmonious growth and improvements of life through its unique activities. This is why one could say Taekwondo is a way of life. To ultimately enable ourselves to lead more valuable lives, we would do well by finding the guiding principles deeply hidden in Taekwondo.